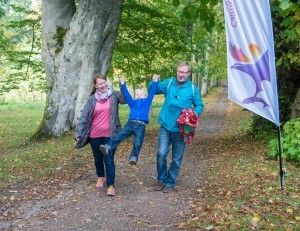 Active Cairngorms aims to make it easier and safer for people to move around the Park whatever their age, ability or background; to be more physically active, to learn about, care for and appreciate the Park. We now know that physical inactivity is killing us. It is the second biggest cause of mortality, leading to around 2,500 premature deaths in Scotland every year. We also know that increasing physical activity can lead to improvements in many conditions, from heart disease to mental health issues. At its heart, Active Cairngorm’s aim is for all residents and visitors to enjoy and use the Park for physical activity once a day. To deliver Active Cairngorms, the Park Authority convenes and chairs the Active Cairngorms Partnership. This partnership is made up of NHS, Paths for All, Scottish Natural Heritage (SNH), SUSTRANS, SportScotland and land management representatives. Sign up to our Active Cairngorms ebulletin to keep up to date with our progress.